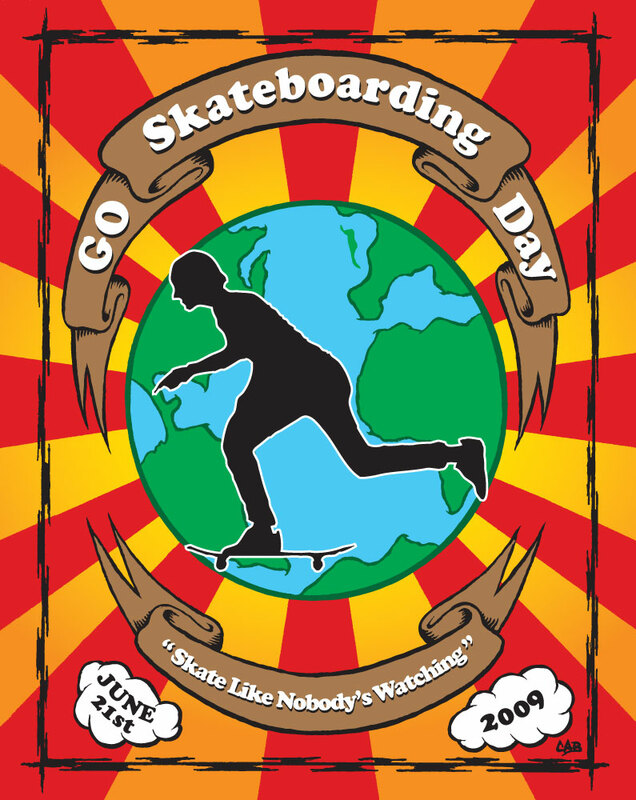 Taking place at a street / skatepark / hill etc near you on Sunday 21st June is International Go Skateboarding Day! What It’s All About:On June 21 skateboarders around the globe will celebrate the pure exhilaration, creativity, and spirit of one of the most infuential activities in the world by blowing off all other obligations to go skateboarding. OK, most skateboarders do this every day of their lives, but this is just one more reason to blow off your television/computer/video games and go skateboarding! Skateboarders everywhere will show their love and support for skateboarding by holding fundraisers, contests, protests nad demos. They’ll skate across cities, gather in skateparks, stream into their local skate shop and some will even revel in the solitary act of skateboarding alone at their favorite spot, all bringing together the skateboarding community in the grind heard around the world.